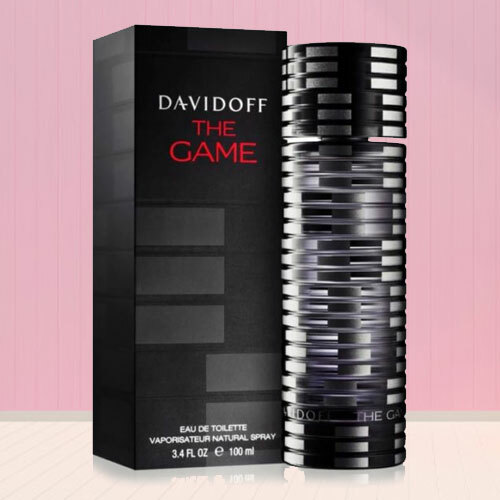 Create a beautiful world for your loved ones by sending this Odorous Perfume from The Game by Davidoff Perfume for Men wrapped up in the essence of your love and warm feelings. This particular Perfume is judged by its three basic Notes. The Top notes are gin and juniper berries; Middle notes are iris and precious woods; Base note is ebony wood that are found in this Perfume. The Volume of this Perfume bottle is 100 ml.